William Lennane lived from 1872 to 1841. He became very prosperous in the pre-World War I era as a building contractor who specialized in sewer systems, paving streets and working in concrete. As prosperous neighborhoods developed in Detroi t just after the turn of the century, William Lennane and his firm helped to build Arden Park, Indian Village and the Boston-Edison neighborhood. In 1913, he asked the Smith, Hinchman and Grylls firm to design a home for him in the prestigious Ferry Park subdivision. 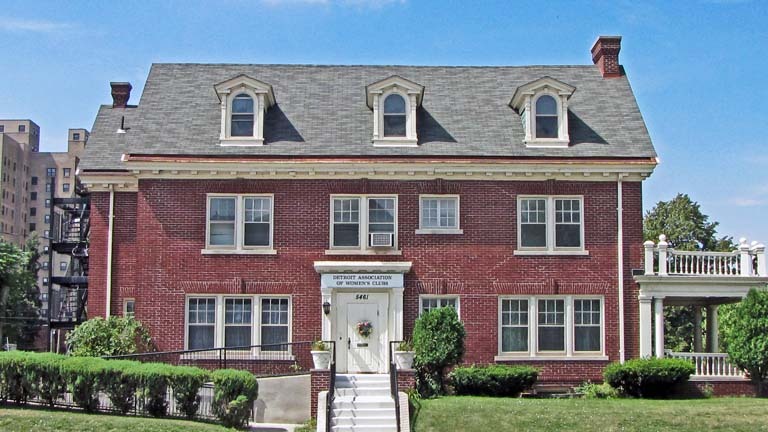 They designed a rectangular Colonial Revival style home in two-and-one-half stories with a gabled roof. There is a pilastered entrance with pedimented corners. Along the East Ferry Street side of the home, there is an attractive column supported side porch. The labor force participation rates of extensively educated women have risen sharply since the late 1960s. Earlier in the 20th century, the highly-educated wives of prosperous men often devoted much effort to charitable organizations. The wives of well-to-do African-American husbands similarly often spent much time on charitable work. 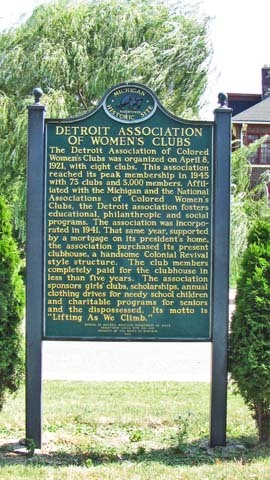 On April 8, 1921, eight African-American women's clubs banded together to form the Detroit Association of Colored Women's Clubs. They focused on philanthropic, educational and social programs. The Association was incorporated in 1941. In that same year, William Lennane died and his home was purchased by the Detroit Association of Women's Club then led by Mrs. Rosa Gragg. By 1945, this Association included 73 clubs with 3,000 members. Use in 2003: Apparently empty but reasonably well preserved.